Religion, Language and Power shows that the language of ‘religion’ is far from neutral, and that the packaging and naming of what English speakers call ‘religious’ groups or identities is imbued with the play of power. Religious Studies has all too often served to amplify voices from other centers of power, whether scripturalist or otherwise normative and dominant. 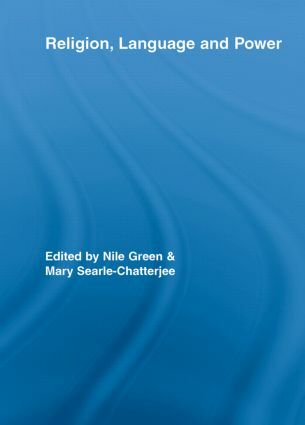 This book’s de-centering of English classifications goes beyond the remit of most postcolonial studies in that it explores the classifications used in a range of languages — including Arabic, Sanskrit, Chinese, Greek and English — to achieve a comparative survey of the roles of language and power in the making of ‘religion’ . In contextualizing these uses of language, the ten contributors explore how labels are either imposed or emerge interactively through discursive struggles between dominant and marginal groups. In dealing with the interplay of religion, language and power, there is no other book with the breadth of this volume.